Cambridge, Massachusetts is one of the oldest cities in the United States. The first houses were built almost 400 years ago and a majority of the housing has been around for awhile. Because of the aging infrastructure, Cambridge homes and businesses make the ideal location for pests who are looking for some shelter from the cold. With winter quickly approaching it is important that Cambridge residents make sure their homes are pest-proofed for the winter. There has been a large Cambridge rat problem in the past few years that you can stay out of if you follow a few Cambridge pest prevention steps. The best way to keep pests like rats or mice from entering your Cambridge home is by making sure there are no entry points available for easy access. It is good to check the following places for holes pest can squeeze through (mice can fit through gaps about the size of a quarter). If you are able to find any holes that pests could get into your home through you should seal them right away. 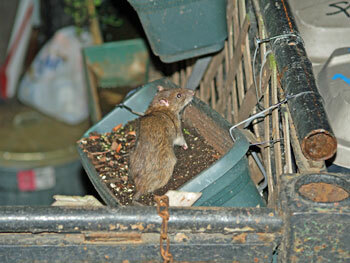 Rats and mice in Cambridge know they can find good food in a number of residences and will look everywhere for a way in. Ensuring that your Cambridge home is pest-proof during the winter can be exhausting. NW Pest Control has been providing the Greater Boston area with expert pest control services since 1975 and would be happy to help you get your home ready for the winter. NW Pest Control offers free on-site pest inspections so we can get a feel for the scope of the job and you can learn more about our pest control service and pricing. After our initial meeting NW Pest Control will put together a customized pest prevention plan for your property and go over each step with you before we begin our treatment. Call NW Pest Control today and get your Cambridge pest removal problems dealt with today.